Give it up! 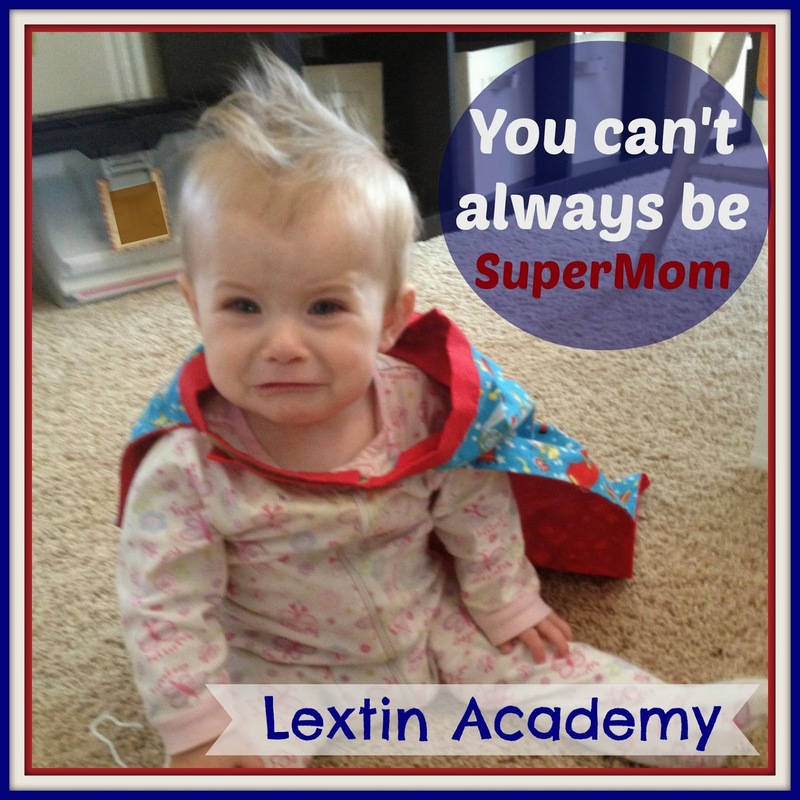 You can’t always be SuperMom! Some days your kids will eat cereal for dinner or will watch one DVD too many while you take a nap. Or you might fill the crockpot with a yummy dinner and then forget to turn it on. Or you might call school off for the day and let the kids play on the computer while you stay in jammies. You might forget to brush your kids’ teeth one night or you might let them eat cookies and pretzels for lunch because you’re too tired to cook anything. Sometimes you might issue empty threats that your kids ignore as they continue to happily disobey every request out of your mouth. You might yell at times or break down in tears in front of your kids. You will probably say things you regret. It’s certain that you will have moments of frustration, discouragement, and yes, failure. But cheer up! There is hope! So, give yourself some grace. It’s ok if the bed is unmade, if dinner is a little unconventional, if you need to sit down by yourself for a few minutes, or if you have times when you fail. Because actually there will be lots of those times – times of failure I mean. You will make mistakes, have regrets, and experience guilt. But you’re covered in grace. In your weakness, you can be made strong. And the God who extends such grace to you is the perfect example for your children. It’s that grace that you need to model for your kids. They don’t need SuperMom. They just need you. The one who was chosen to parent them and the one who was given the grace needed to do so. So, you don’t need a superhero cape! Just daily grab onto God’s grace – because you know you’ll need it – and remember who’s watching! Great thoughts!! I think we moms in general, and definitely homeschool moms, put so much pressure on ourselves. When you take over every single aspect of your child's development, there's no one to "blame" if something doesn't go the way you planned. It's a LOT of pressure, but we need to remember we're all doing our best, we're all trying so hard to find God's will. Everyone can benefit from reading this….thank you for the reminder of what's important!! Grace. I can't imagine my life without it!